Although the idea of taking children on a safari may be daunting to some, we believe that there is no better holiday than a family safari. 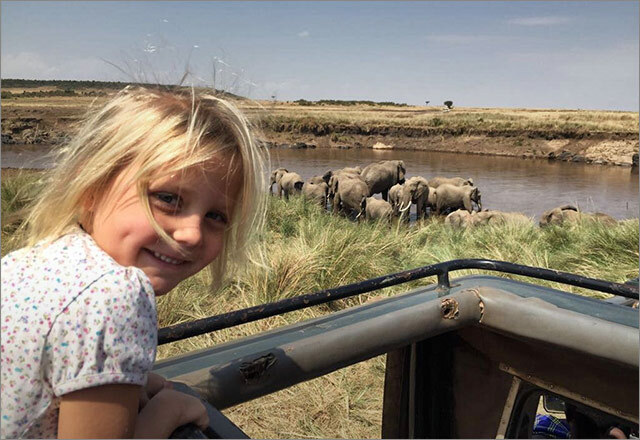 Our hosts and guides at Offbeat Mara, Ekorian’s Mugie camp, and Sosian Lodge are truly wonderful and engaging with children on safari and rest assured - there is plenty to keep them entertained whilst you take a back seat and relax or get involved yourselves! Our guides are great at imparting their knowledge of the Mara and Laikipia (their home areas) - in a fun, interactive and educational way. There are few better people to teach children about the areas culture, history the ecosystems and their wildlife. Families are welcome to visit the local schools where the children can interact with each other, play football, teach each other songs, among other activities and leave with a more rounded outlook of how other children live and learn around the world. Offbeat Mara Camp, Ekorian’s Mugie Camp and Sosian Lodge offer a wide variety of activities for children from fishing, kayaking, shooting bows and arrows, trekking with camels, walking with the blood hounds on Mugie Conservancy, beading lessons with local Masai ladies, learning to track with the guides, tubing down the river, jumping off the waterfall, riding horses at Sosian Lodge and so much more. Closer to ‘home’- Ekorian’s Mugie Camp has a wonderful little pool overlooking a small waterhole where children can ‘cool’ off after a day’s activities and a trampoline within the camps grounds for the more energetic! Offbeat Mara Camp has a variety of board games and a small library to while away the hours if needed and if we have any budding chefs - children are always welcome to get involved in the kitchen, baking cakes and bread! And... the Offbeat Mara Camp staff football team is always delighted to get any star footballers involved in a game after lunch or in the evening! Sosian Lodge also offers a lovely pool, tennis court, horse riding, tubing, fishing, walking and so much more.